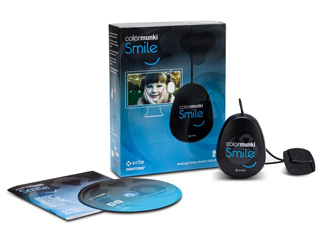 For photo hobbyists, design enthusiasts, gamers and web viewing, ColorMunki Smile is a super simple way to get more accurate color from your monitor and Apple® iOS® devices. The process is easy. The results are amazing. Every wonder why the pictures you took at the beach, graduation or your kid’s game don’t look the same on your monitor as you remember them? Well, monitors aren’t perfect. Color can vary from monitor to monitor or change over time. (Sometimes a whole lot.) Even the conditions where you view the monitor can have an effect on what the color looks like on the screen. If only there was a cure? Smile – there is. ColorMunki Smile delivers super simple monitor calibration for your laptop or desktop monitor, and with X-Rite ColorTRUE mobile app you can even calibrate your Apple iOS devices. Calibration is just a fancy way of saying adjust your computer screen to show the colors correctly. Sound complicated? Smile – it isn't. Actually, it’s really easy. Simply plug the device into your USB port and follow the on-screen instructions. ColorMunki Smile does all the work with a few clicks of the mouse. When the process is done you’ll see before and after results and your new color settings automatically start working. So whether you are viewing, editing or sharing your images, you’ll know your colors are right. Even if you’re gaming or web browsing you’ll get truer colors. It couldn’t be simpler. Your colors should really match everywhere they appear. With ColorMunki Smile, now they will. Easily. Beautifully. All the time. Start smiling. 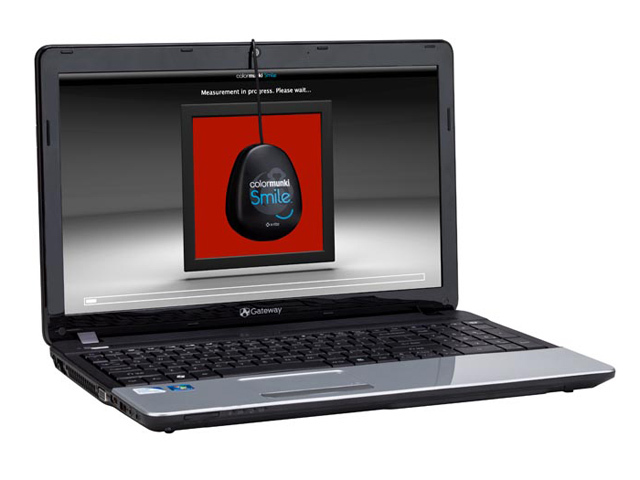 ColorMunki Smile is a simple color calibration solution that makes sure your computer screen is always displaying the correct colors. 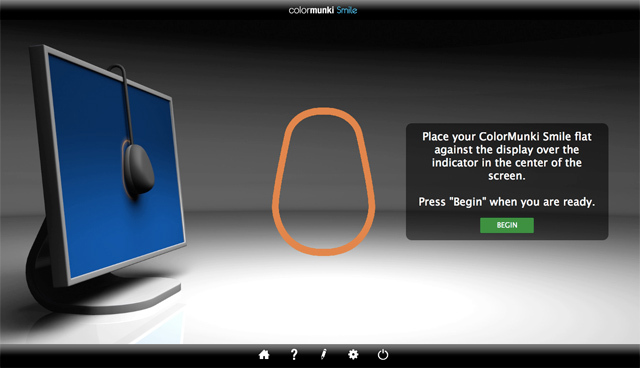 ColorMunki Smile includes a measurement device and super simple software. You also get easy-to-follow help videos, but the process is so easy, you probably won’t need them. So isn’t it time to Stop Guessing if the image you see on your monitor is really the right color? Start Knowing with ColorMunki Smile! ColorMunki Smile is supported in X-Rite ColorTRUE mobile app. This free app extends your calibration power to profile iOS phones and tablets. In just minutes, you’ll achieve the perfect mobile to desktop color match. Learn more. Your eyes aren’t perfect – well even if you have perfect color vision there are other factors that affect how you see color like age, gender and health. 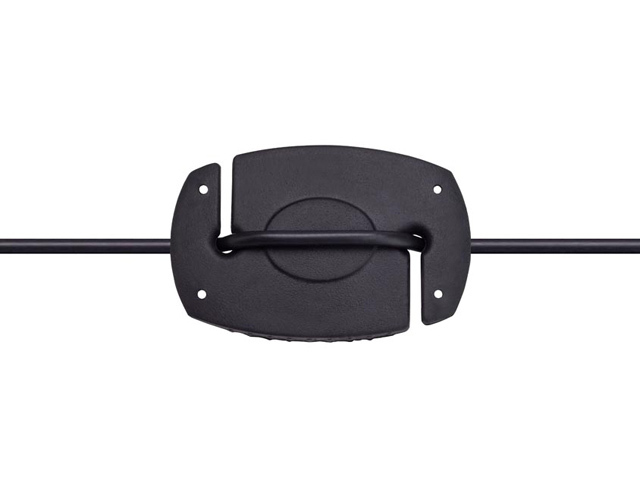 You need a measurement device to ensure accurate color. 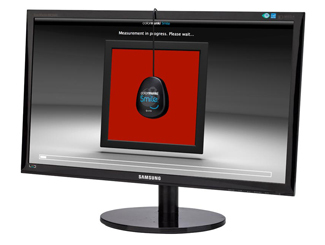 Monitors display color differently and change over time – calibrating your display on a regular basis fine-tunes it to known color reference standards and ensures consistency as it ages over time. Image colors are not true to life – even a slight red or blue cast can throw off your images. Calibrating your display gives you confidence to view, edit and share your images knowing the colors are correct. Highlights and shadow details are lost – calibrating your monitor brings back the details for more accurate viewing of your entire image. Grays & whites aren’t consistent – which can cause a shift in color hue. 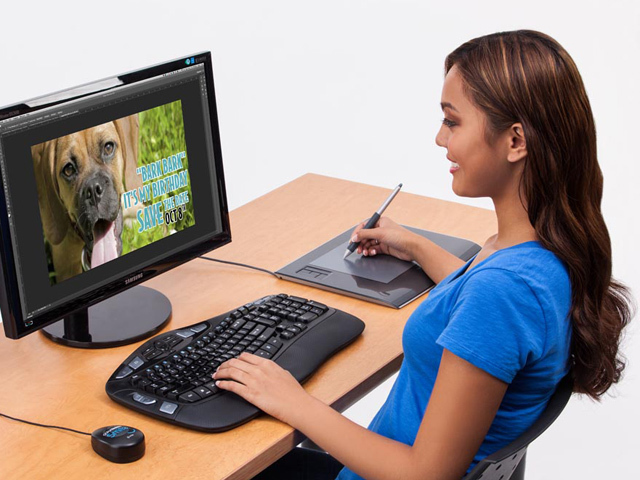 Calibrating your monitor produces neutral grays and whites and eliminates inconsistency. Product registration is required to receive X-Rite technical support during the warranty period. Registration can occur directly through the software, on our website, or via phone. Users are encouraged to register their product within the first 30 days of use. 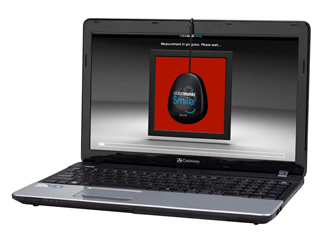 ColorMunki Smile colorimeter with counterweight, ColorMunki Smile software for calibrating monitors, and printed Quick Start Guide. Free ColorTRUE mobile app download from iTunes® App Store. ColorMunki Smile includes an end user license agreement (EULA) allowing a single user the ability to install and run unlimited installations of ColorMunki software on any number of computers that he/she owns. A PDF of the single user, unlimited seat license policy can be downloaded via Support Tab link. 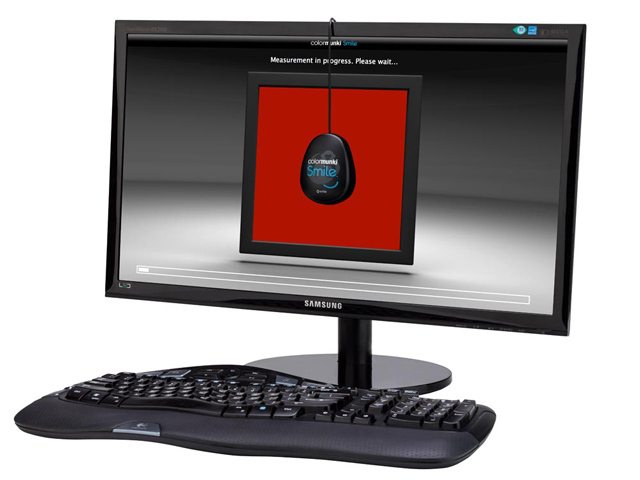 A monitor profiling and calibration package from X-Rite, with the emphasis on ease of use. "This really is the easiest monitor calibrator I've ever used - nothing to set up and nothing to decide about calibration and profiling settings. If you just want a better set up screen and confidence that your display is showing the correct colours, then that's it. Plug it in, run the software and you're done." "This is why the ColorMunki Smile is the perfect color calibration solution for the lay photographer or hobbyist- basically, anyone who hasn't bothered doing it in the past. This monitor profiling and calibration package from X-Rite is made for ease. It really is as simple as plug and play." 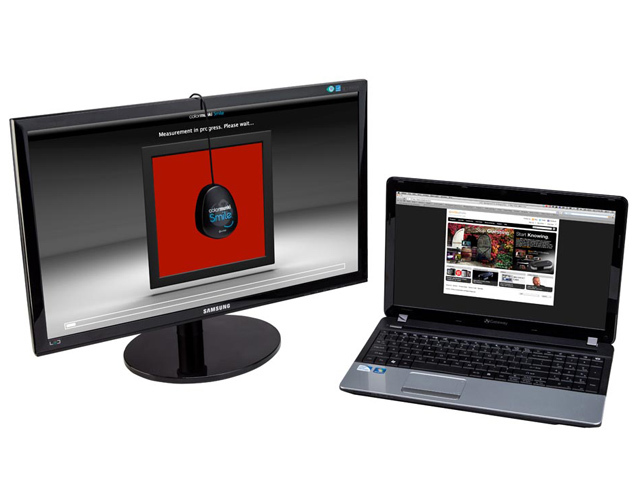 "There’s no doubt that this is as easy to use as monitor calibration can get. It’s completely automatic and just does the job then shows you the difference it made. For anyone who wants a better, more accurate display, without all the technical jargon, it really is a great, low-cost, option." "It's literally almost impossible to mess up the process. It's fast and it's easy. It's also relatively cheap and the results were good. What do I think of the ColorMunki Smile? "I've never calibrated a monitor before, so this whole calibration thing was a new experience for me. 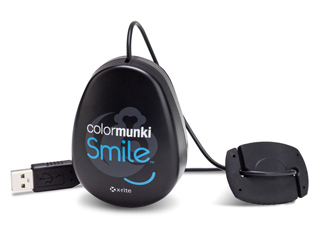 Thankfully X-Rite's ColorMunki Smile steps you through every step, making the whole experience painless."